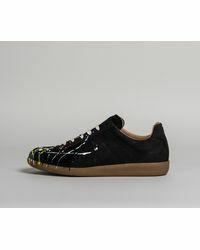 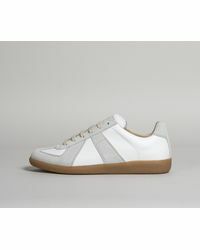 Based on an Austrian military training sneaker from the seventies, Maison Margiela's Replica sneakers are now a modern day classic. 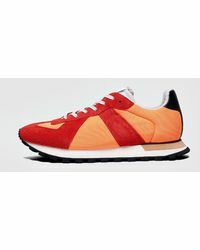 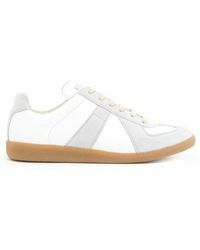 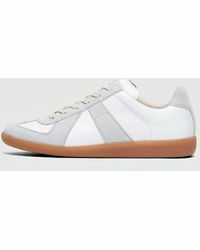 The avant-garde Belgian fashion label brings a contemporary feel to sportswear with this low-top silhouette that has become a staple for both sportswear and high-fashion fans. 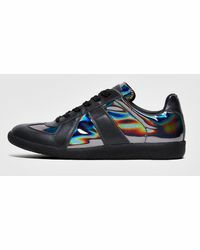 In a variety of colourways that include bold metallic panels, calf hair trims, glitter-covered uppers and paint splatter-effect detailing, each pair is expertly made in Italy from the finest leather. 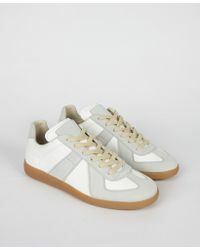 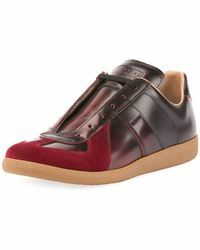 High fashion's answer to casualwear, invest in a pair of Replica sneakers today.